Coming to Dallas for a short visit? 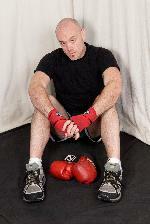 Would you like to keep up with the regular boxing training that you do when you’re at home in your own city? Single lessons are available while you’re visiting Dallas. Learn a few new techniques, or just polish and fine-tune your current techniques with a different perspective. While you’re here, don’t lose that cardio endurance that you’ve worked so hard to build up while at home!